This item can only ship to Australia, Canada, France, Germany, Italy, Japan, Russia, Spain, United Kingdom, United States for now. We will expand the shipping address as soon as possible. Please stay tuned. Order arrived very quickly, days for 10 probably. 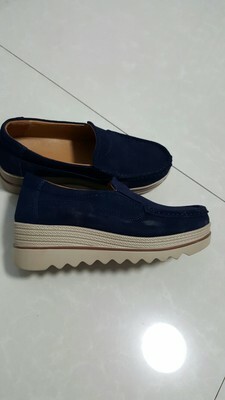 The shoes are soft, very light, color black,. Top natural suede, inside artificial material under the skin. I chose the size according to the foot length, as recommended by the seller. These shoes are so light. You will probably be surprised. 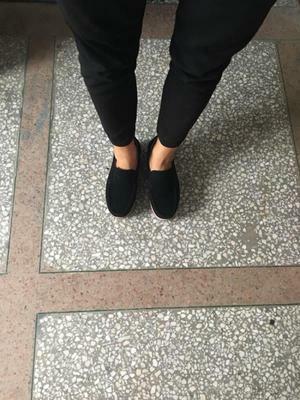 They are my favorite quick slip on shoe and are very versatile. I can wear them with jeans or a dress. I am very happy with them.actly as pictured.